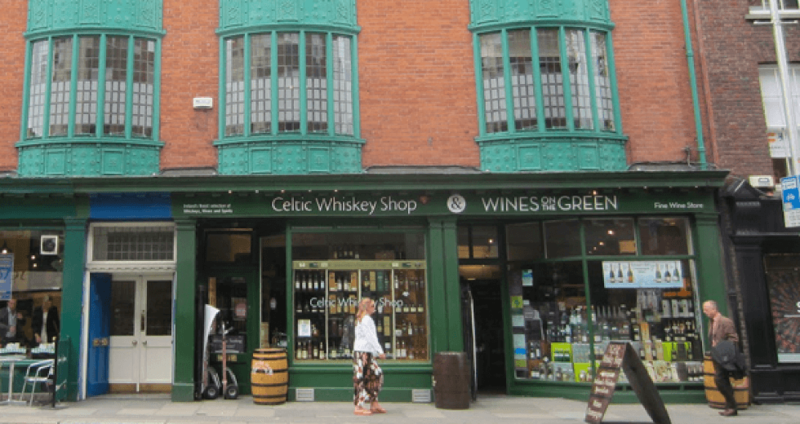 Celtic Whiskey Shop is Ireland's premier whiskey shop based in the heart of Dublin city centre. First opened in June 2003, it has become a mecca for whiskey lovers both in Ireland and abroad. Over the past 14 years, we have built strong ties with all the producers of Irish whiskey and regularly offer exclusive whiskeys, whiskey launches, tasting evenings and distillery trips. To receive regular updates please sign up for our newsletter. Celtic Whiskey Shop is owned and managed by Ally Alpine, who has almost 30 years experience in the trade, along with a very talented and friendly staff. They serve up in-store whiskey tastings all day, every day. They are equipped with a wealth of whiskey and drinks industry knowledge which they are only too happy to share. If you're travelling, our staff can either wrap your purchases in protective wrapping or arrange both national or International shipping. A shop of two halves: The shop divides into two sections, with 27 Dawson Street boasting the most comprehensive whiskey range in Ireland which includes Irish, Scotch, World Whiskies along with an impressive selection of exclusive, rare & collectible bottlings. On top of our fabulous whiskey range we have a superb selection of other spirits from around the world - Armagnacs to Grappas, Rums to Schnapps and plenty in between! The wine side of the store provides one of Ireland's most interesting and eclectic selections, over 95% of which we source directly from some of the world's best vineyards. Celtic Whiskey Shop has been awarded the prestigious honor of World's Best Single Outlet Whisky Retailer by Whiskey Magazine's Icon's of Whisky in 2017. This is the second year running that the company has been awarded the honour, as well as being awarded the title back in 2013. We work diligently with all Irish whiskey distilleries to select the finest Irish whiskeys for further ageing. Dealing directly with the cellars of some of the world's top wineries enables us to source our own high quality oak wine casks. Carefully marrying these whiskeys and casks results in some fabulous & unique releases, which we have named 'Celtic Cask'. The whiskey is only released once it has achieved the highest standards, and can be recognised as among the best Irish whiskey available. 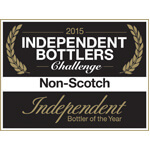 Celtic Cask's dedication to quality and phenomenal success and has been rewarded accordingly when named Non-Scottish Independent Bottler of the Year at the Independent Bottler's Challenge in 2015 and 2016, respectively. In March 2016, we opened our first bar in Killarney called Celtic Whiskey Bar & Larder. The bar is home to Ireland’s largest private whiskey collection with around 1200 whiskies, most of which are Irish but also a fine selection of Scotch, Bourbon, Canadian, Japanese, French and Welsh whisky can be found. For the non-Whiskey drinker, they offer artisan Irish Gins, craft Beer, an extensive wine list and cocktails, meaning that there is plenty to choose from. The bar also serves bistro style food from 12-9:45pm most of which is locally sourced. Last year, Celtic Whiskey Bar & Larder & Irish Whiskey Experience were awarded the World’s Best Visitor Attraction from Icons of Whisky. Having only been open for less than a year at that point, this was a tremendous achievement for the company. At the rear of the Celtic Whiskey Bar & Larder is the Irish Whiskey Experience. The experience aims to educate our customers about Irish whiskey, the history, how it is made and the different Irish distilleries. Our in-house whiskey specialists have an abundance of whiskey knowledge and will guide the visitors through an in-depth tasting of the different Irish whiskeys. The classes run seven days a week from 12-7:15pm, most of which last an hour. International shipping is offered at Celtic Whiskey Bar & Larder. Therefore, should you wish to purchase a bottle of whiskey/gin/wine, this can be arranged easily. The bar also has their own whiskey available for purchase called Cill Airne Cask. There are two single casks on offer, which are exclusive to the bar and change every few months. Visitors can fill their own bottle directly from the cask, label and sign their bottle.